I have become an obsessive photographer through having to wait for ages when my husband took photos - I decided to get a dSLR and join in too! Now changed from full frame Nikon to Olympus EM1 mkii. I retired from teaching English to 11-13 year olds in a Buckinghamshire prep school a few years ago and have focussed on my photography. I gained the Associate distinction of the Royal Photographic Society in 2017. Now also judging round the area at club competitions. I have 6 grandchildren - so plenty of portrait and photo opportunities - dog and cat too. 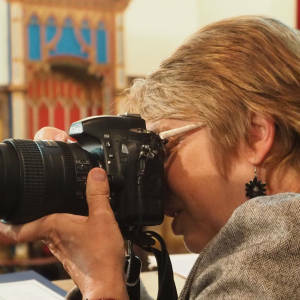 Other interests are Theatre going, reading and singing with Chiltern Chamber Choir based in Berkhamsted and Tring Choral Society based in.... Tring. I also love Blipmeets and days out with my camera.